This article is about the Soviet submarine K-19. For the 2002 film dramatizating the submarine's nuclear accident, see K-19: The Widowmaker. For other uses, see K-19 (disambiguation). Not to be confused with Soviet submarine K-219. Fate: Recycled at Naval Yard 85 Nerpa. K-19 was one of the first two Soviet submarines of the Project 658 class (NATO reporting name Hotel-class submarine), the first generation nuclear submarine equipped with nuclear ballistic missiles, specifically the R-13 SLBM. The boat was hastily built by the Soviets in response to United States' developments in nuclear submarines as part of the arms race. Before it was launched, 10 civilian workers and a sailor died due to accidents and fires. After it was commissioned, it had multiple breakdowns and accidents, several of which threatened to sink the submarine. The Soviet Union, officially the Union of Soviet Socialist Republics (USSR), was a socialist state in Eurasia that existed 1922 to 1991. Nominally a union of multiple national Soviet republics, its government and economy were highly centralized. 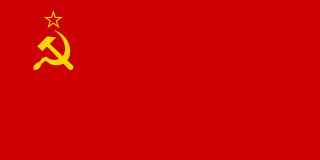 The country was a one-party state, governed by the Communist Party with Moscow as its capital in its largest republic, the Russian Soviet Federative Socialist Republic. Other major urban centres were Leningrad, Kiev, Minsk, Alma-Ata, and Novosibirsk. It spanned over 10,000 kilometres east to west across 11 time zones, and over 7,200 kilometres north to south. It had five climate zones: tundra, taiga, steppes, desert and mountains. The Hotel class is the general NATO classification for a type of nuclear-powered ballistic missile submarine that was originally put into service by the Soviet Union around 1959. The Soviet designation was Project 658. On its initial voyage on 4 July 1961, it suffered a complete loss of coolant to its reactor. A backup system included in the design was not installed, so the captain ordered members of the engineering crew to find a solution to avoid a nuclear meltdown. Sacrificing their own lives, the engineering crew jury-rigged a secondary coolant system and kept the reactor from a meltdown. Twenty-two crew members died during the following two years. The submarine experienced several other accidents, including two fires and a collision. The series of accidents inspired crew members to nickname the submarine "Hiroshima". The Soviet Navy was the naval arm of the Soviet Armed Forces. Often referred to as the Red Fleet, the Soviet Navy was a large part of the Soviet Union's strategic plan in the event of a conflict with opposing super power, the United States, the North Atlantic Treaty Organization (NATO), or another conflict related to the Warsaw Pact of Eastern Europe. The influence of the Soviet Navy played a large role in the Cold War (1945-1991), as the majority of conflicts centered on naval forces. A propeller is a type of fan that transmits power by converting rotational motion into thrust. A pressure difference is produced between the forward and rear surfaces of the airfoil-shaped blade, and a fluid is accelerated behind the blade. Propeller dynamics, like those of aircraft wings, can be modelled by Bernoulli's principle and Newton's third law. Most marine propellers are screw propellers with fixed helical blades rotating around a horizontal axis or propeller shaft. Nikolai Vladimirovich Zateyev was a Russian submariner and a Captain First Rank in the Soviet Navy, notable as the commander of the ill-fated Soviet submarine K-19 in July 1961 during the Hotel class submarine's nuclear-reactor coolant leak. Zateyev and the actions of his crew managed to avert disaster, despite severe radiation exposure. After the event, Zateyev and his crew were sworn to secrecy by the Soviet government regarding the events that transpired, and were only permitted to reveal the story after its collapse. Zateyev later released his memoirs on the event, which were used as the basis for a number of literary works on the disaster, as well as a 2002 documentary and film. In these memoirs, Zateyev criticised the rushed production of Russia's first nuclear ballistic missile submarine. His and his crew's actions on July 4, 1961 earned the surviving crewmembers a joint nomination for the Nobel Peace Prize in March 2006. In January 1960, confusion among the crew during a watch change led to improper operation of the reactor and a reactor-control rod was bent. 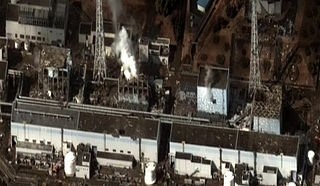 The damage required the reactor to be dismantled for repairs. The officers on duty were removed and Captain Panov was demoted. The submarine's ensign was hoisted for the first time on 12 July 1960. It underwent sea trials from 13 through 17 July 1960 and again from 12 August through 8 November 1960, travelling 17,347 kilometres (10,779 mi). The ship was considered completed on 12 November 1960. After surfacing from a full-power run, the crew discovered that most of the hull's rubber coating had detached, and the entire surface of the boat had to be re-coated. A naval ensign is an ensign used by naval ships of various countries to denote their nationality. It can be the same or different from a country's civil ensign or state ensign. A sea trial is the testing phase of a watercraft. It is also referred to as a "shakedown cruise" by many naval personnel. It is usually the last phase of construction and takes place on open water, and it can last from a few hours to many days. The boat was commissioned on 30 April 1961. The submarine had a total of 139 men aboard, including missile men, reactor officers, torpedo men, doctors, cooks, stewards, and several observing officers who were not part of the standard crew. On 4 July 1961, under the command of Captain First Rank Nikolai Vladimirovich Zateyev, K-19 was conducting exercises in the North Atlantic off the south-east coast of Greenland. At 0415 local time the pressure in the starboard nuclear reactor's cooling system dropped to zero. The reactor department crew found a major leak in the reactor coolant system, causing the coolant pumps to fail. The boat could not contact Moscow and request assistance because a separate accident had damaged the long-range radio system. The control rods were automatically inserted by the emergency SCRAM system, but the reactor temperature rose uncontrollably. Decay heat from fission products produced during normal operation eventually heated the reactor to 800 °C (1,470 °F). Instead of continuing on the mission's planned route, the captain decided to head south to meet diesel-powered submarines expected to be there. Worries about a potential crew mutiny prompted Zateyev to have all small arms thrown overboard except for five pistols distributed to his most trusted officers. A diesel submarine, S-270, picked up K-19's low-power distress transmissions and joined up with it. On 6 August 1961, 26 members of the crew were decorated for courage and valor shown during the accident. On 14 December 1961, the boat was fully upgraded to the Hotel II (658м) variant, which included upgrading to R-21 missiles, which had twice the effective range of the earlier missiles. On 24 February 1972, a fire broke out while the submarine was at a depth of 120 m (390 ft), some 1,300 km (700 nmi; 810 mi) from Newfoundland, in Canada. The boat surfaced and the crew was evacuated to surface warships except for 12 men trapped in the aft torpedo room. Towing was delayed by a gale, and rescuers could not reach the aft torpedo room because of conditions in the engine room. The fire killed 28 sailors aboard K-19 and two others who died after they were transferred to rescue ships. Investigators determined that the fire was caused by a hydraulic fluid leak onto a hot filter. The rescue operation lasted more than 40 days and involved over 30 ships. From 15 June through 5 November 1972, K-19 was repaired and put back into service. On 15 November 1972, another fire broke out in compartment 6, but it was put out by the chemical fire-extinguisher system and there were no casualties. On 25 July 1977, K-19 was reclassified in the Large Submarine class, and on 26 July 1979, she was reclassified as a communications submarine and given the symbol KS-19 (КС-19). On 15 August 1982, an electrical short circuit resulted in severe burns to two sailors; one, V. A. Kravchuk, died five days later. On 28 November 1985, the ship was upgraded to the 658s (658с) variant. K-219 was a Project 667A Navaga-class ballistic missile submarine of the Soviet Navy. It carried 16 SS-N-6 liquid-fuel missiles powered by UDMH with IRFNA, equipped with an estimated 34 nuclear warheads. K-8 was a November-class submarine of the Soviet Northern Fleet that sank in the Bay of Biscay with her nuclear weapons on board on April 12, 1970. A fire on April 8 had disabled the submarine and it was being towed in rough seas. Fifty-two crewmen were killed attempting the salvage of the boat when it sank. K-19: The Widowmaker is a 2002 historical submarine film about the first of many disasters that befell the Soviet submarine K-19. USS Swordfish (SSN-579), a Skate-class nuclear-powered submarine, was the second submarine of the United States Navy named for the swordfish, a large fish with a long, swordlike beak and a high dorsal fin. The Soviet/Russian Navy Project 705 was a class of hunter/killer nuclear-powered submarines. The class is also known by the NATO reporting name of Alfa. They were the fastest class of military submarines built, with only the prototype K-222 exceeding them in submerged speed. 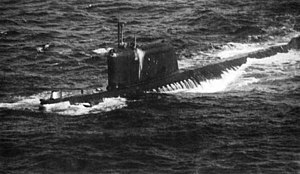 K-27 was the only submarine of Project 645 in the Soviet Navy. Project 645 was not assigned a NATO reporting name. That project produced one test model nuclear submarine, which incorporated a pair of experimental VT-1 nuclear reactors that used a liquid-metal coolant, placed into the modified hull of a November class submarine. The Project 627 class submarine was the Soviet Union's first class of nuclear-powered submarines. The North Atlantic Treaty Organization (NATO) used the standard radio communication phonetic alphabet to denote submarine classes. November class was the designation for this initial series of Soviet nuclear-powered torpedo attack submarines, which were in service from 1958 through 1991. All but one have been disposed of, with Submarine K-3, the first nuclear submarine built for the Soviet Navy, possibly being preserved as a memorial. K-131 was a Project 675 of the Soviet Navy's Northern Fleet, she was also redesignated K-192. К-3 was a project 627 "Кит" submarine of the Soviet Navy's Northern Fleet, the first nuclear submarine of the Soviet Union. The vessel was prototyped in wood, with each of five segments scattered between five different locations about Leningrad, including the Astoria Hotel. She was built in Molotovsk, launched on 9 August 1957, commissioned in July 1958, and homeported at Zapadnaya Litsa on the Kola Peninsula. K-3 was designed by Vladimir Peregoudov. Her initial captain was Leonid Osipenko, and the executive officer was Lev Zhiltsov, who had the important task of assembling the first crew. The Echo class were nuclear cruise missile submarines of the Soviet Navy built during the 1960s. Their Soviet designation was Project 659 for the first five vessels, and Project 675 for the following twenty-nine. Their NATO reporting names were Echo I and Echo II. All were decommissioned by 1994. Vasili Alexandrovich Arkhipov was a Soviet Navy officer credited with casting the single vote that prevented a Soviet nuclear strike during the Cuban Missile Crisis. Such an attack likely would have caused a major global thermonuclear response which, as Noam Chomsky described, could have destroyed much of the world. As flotilla commander and second-in-command of the diesel powered submarine B-59, only Arkhipov refused to authorize the captain's use of nuclear torpedoes against the United States Navy, a decision requiring the agreement of all three senior officers aboard. In 2002 Thomas Blanton, who was then director of the US National Security Archive, said that Arkhipov "saved the world". 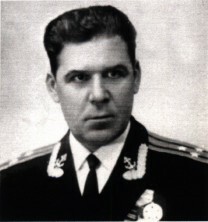 Vsevolod Borisovich Bessonov (1932–1970) was a Soviet Navy submarine commander and a Hero of the Soviet Union. He died during the sinking of the Soviet submarine K-8. Incident at Map Grid 36-80 is a 1982 Soviet military action movie by Mikhail Tumanishvili. The total number of Soviet viewers was estimated at 33 million 100 thousand. The decommissioning of Russian nuclear-powered vessels is an issue of major concern to the United States and to the Scandinavian countries near Russia. From 1950 to 2003, the Soviet Union and its major successor state, Russia, constructed the largest nuclear-powered navy in the world, more ships than all other navies combined: 248 submarines, four Kirov class battlecruisers, and a missile test ship, as well as nine icebreakers. Many were or are powered by two reactors each, bringing the total to 468 reactors. With the end of the Cold War and with its navy chronically underfunded, Russia has decommissioned many of these vessels, and according to one report dated November 2008, intended to scrap all decommissioned submarines by 2012. However, the safety records of the Soviet and Russian navies and the budgetary constraints on the Russian government are matters of great concern. Ships awaiting decommissioning receive little maintenance, and there are insufficient waste storage facilities, raising worries about possible ecological damage from accidents or improper storage. 1 2 3 4 "Russia scraps 'the Widowmaker'". BBC News. 8 August 2003. Retrieved 30 May 2018. 1 2 3 4 5 6 "1958-60: The Construction of K-19". K-19: The History. National Geographic. Archived from the original on 8 March 2014. Retrieved 28 May 2014. 1 2 3 Bivens, Matt (January 3, 1994). "Horror of Soviet Nuclear Sub 61' Tragedy Retold". The Los Angeles Times. Retrieved 22 September 2012. ↑ McNamara, Robert. "Ships, Champagne, and Superstition". About.com. Retrieved 26 May 2014. ↑ "Epilogue: Tragedy Upon Tragedy". K-19: The History. National Geographic. Archived from the original on February 18, 2011. Retrieved May 5, 2011. ↑ Polmar, Norman (2003). Cold War Submarines. The Design and Construction of U.S. and Soviet Submarines. Potomac Books, Inc. p. 112. ISBN 1-57488-530-8. 1 2 "K19 Widowmaker - A Nuclear Accident". Awesome Stories. Retrieved 24 February 2015. ↑ "Оружие: К-19 – достойная награда спустя 45 лет" [Weapon: K-19 – distinguished award after 45 years] (in Russian). Old.lenta.ru. 2003-09-13. Retrieved 2011-05-14. ↑ Convert from Roentgen (R) to rad or from Roentgen (R) to rem? ↑ Bos, Carole. "K19 Widowmaker - Secret Heroes". Awesome Stories. Retrieved 24 February 2015. ↑ Miller, David (2006). Submarine disasters. Guilford, Conn.: Lyons Press. p. 65. ISBN 978-1592288151 . Retrieved 17 July 2015. ↑ Haggerty, Anthony (20 July 2006). "Jambos chief Vlad splashes out on sub". The Daily Record. Archived from the original on 23 May 2007. Bratkov, Vitaly (July 26, 2002). "K-19, prototype of Hollywood thriller, to be cut up". Pravda .